Description: The United Kingdom’s Department for International Development (DFID) has funded a year-long systematic review on the evidence on interventions that aim to support women’s participation in labour markets in higher growth or male-dominated sectors in low- and middle-income countries. The project consists of two parts: an interactive evidence interface, and a full systematic review. The evidence interface has mapped any intervention that helps women overcome barriers to their labour market participation in higher growth/male-dominated sectors against outcomes of women’s participation in formal or informal employment, entrepreneurial success, or economic empowerment. The second part of the project consists of a full systematic review on a question of priority developed after consultation with the funder. The review includes a meta-analysis and a qualitative comparative analysis. The review team is supported by the EPPI-Centre, which is based in the Social Science Research Unit at the Department of Social Science, UCL Institute of Education, London. You can follow the progress of the review from the perspective of its team members here. Funder: Natural Environment Research Council, United Kingdom. Description: This project focusses on co-production of evidence syntheses products with decision-makers in the context of ecosystem services and how these can be used to support poverty alleviation in sub-Saharan Africa. The first step of the project is to produce an interactive evidence interface that maps interventions for ecosystem services against different components of poverty. Mapping this research in this way allows decision-makers to actively view the areas where there is either a lot or too little research. It also allows decision-makers to see whether research considers poverty in a multi-dimensional way. The second part of this project is to co-produce with sub-Saharan African decision-makers four rapid evidence assessments on policy priority areas. We have preliminarily identified the following four as potential syntheses, which may be refined depending on consultation with decision-makers: 1) what works in the management of ecosystems services in drylands in the sub-Saharan African region? ; 2) how best to provide effective governance of ecosystems services in low income countries? ; 3) what guidelines and decision-making tools are available to support decision-makers and do these include multiple dimensional measures of poverty? ; 4) how can research methodologies be better aligned to decision-makers’ needs? A fuller project description can be found on our funder’s website here. Description: In early 2016 we helped to create this informal group of senior government officials with an interest in evidence. We continue to play a role in the group, helping them to develop into a community of practice. Whilst the work is unfunded and the group is informal, it is an exciting opportunity to help to build this important evidence community. Partners: This work has been in close partnership with Harsha Dayal from the Department of Planning, Monitoring and Evaluation in South Africa, who has led the work. Description: Evidence maps are an evidence synthesis tool that allows decision-makers to rapidly access a body of evidence relevant to their policy questions. This evidence is then mapped against a policy framework and visualised on an interactive evidence interface to allow public servants to interrogate and engage with the evidence. South African Cochrane Centre at the Medical Research Council, South Africa. 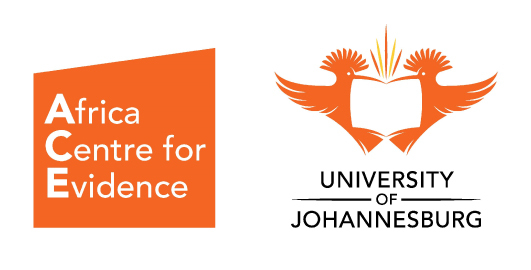 Description: The UJ-BCURE programme was a collaboration led by the University of Johannesburg, directed by Prof Ruth Stewart. It was designed and delivered in partnership with the governments of Malawi and South Africa, alongside a consortium of Malawian and South African delivery partners, with support from international organisations including the International Initiative for Impact Evaluation (3ie) and the EPPI-Centre (UCL). It was embedded within, and has built upon, the work of the Africa Evidence Network (AEN). Description: The Global Evidence Synthesis Initiative (GESI) is an international collaboration to support the growth of capacity to undertake systematic reviews and other evidence syntheses in low and middle income countries. 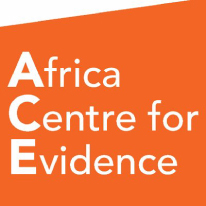 Along with a number of centres in Africa, ACE is a member of their global network. Description: The main mandate of CEE Joburg is to contribute to the work of the Collaboration by encouraging the need for systematic reviews to inform environmental policy and practice in Africa. As a team of experienced reviewers, CEE Joburg fulfils this mandate by offering training and support to environmental scientists, managers, and practitioners who wish to undertake or use systematic reviews.